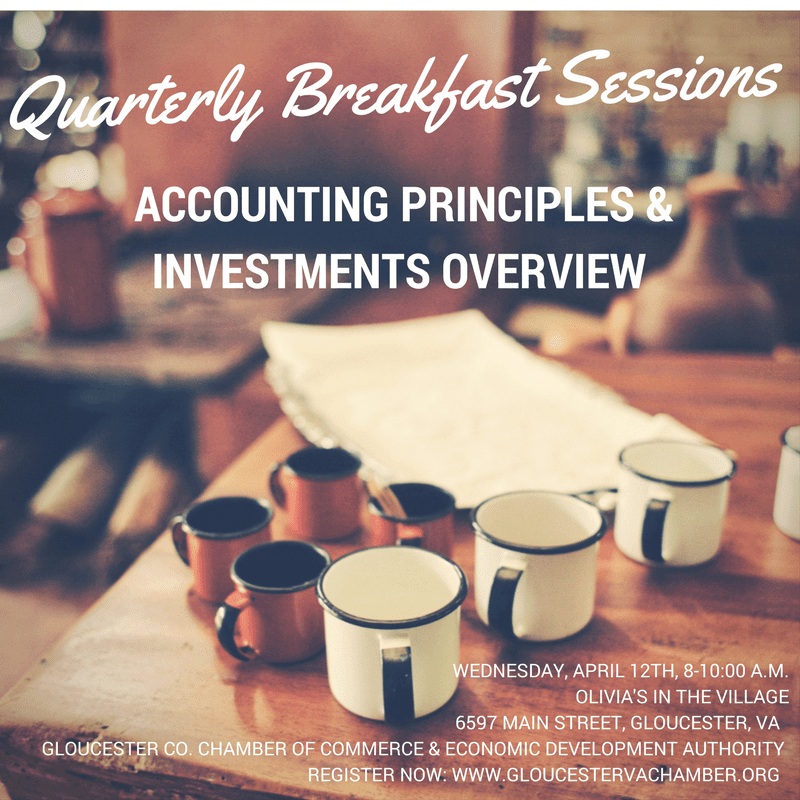 Don’t miss the second quarterly Breakfast Session event on 4/12 over at Olivia’s in the Village! ‘Accounting Principles and Investment Overviews’ is brought to you by Gloucester County Chamber of Commerce & Economic Development Authority. There are only 35 seats available – register now!